The perfect bag? This may be it !!! 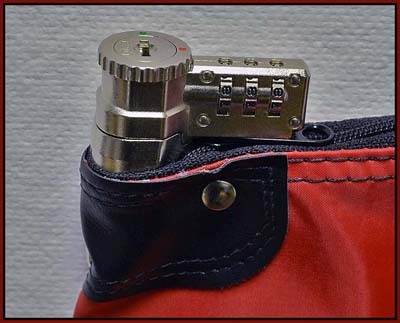 Over the years we have had people ask if there was a bag that had both a key and combination style lock that they could set a key-code combination and change it at will if needed. This could truly be many peoples dream bag. 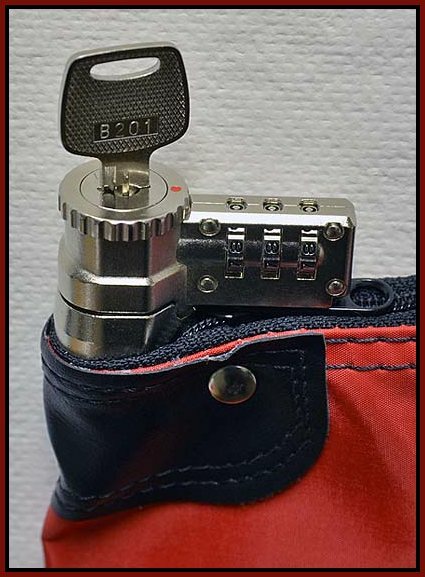 It comes with a high-security pop-up style lock and can be opened like many conventional style bags with the key. In addition, you can set your own three digit combination and unlock the bag with your known three digit entry code or with the key. This gives you plenty of flexibility with authorizing access and key delegation. This way you can give an intended recipient the key or just send the bag along without a key or just give the person of authorized access the three digit entry code. The best part of this of course is that you can change that entry code at any time for security purposes if and when the need may arise. No locksmith needed!!! Changing your entry combination on this locking money-document-whatever bag can be done in less than sixty seconds by YOU! 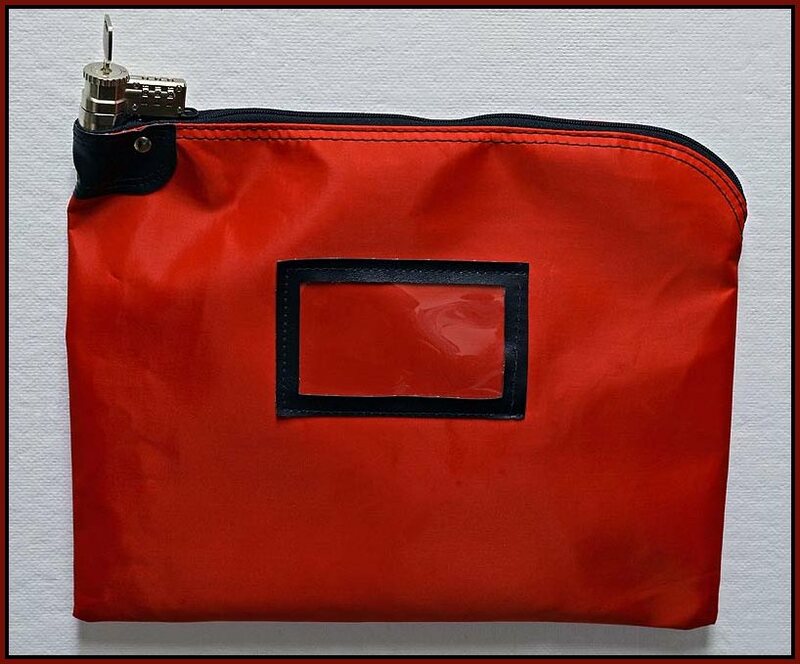 This style bag features our pop-up style lock which does NOT require the key in order to lock/secure the bag which is by far the most popular style locking system in all the bags we produce. We stock this bag in BLACK - 12"w x 9"h and NAVY BLUE in our 16"w x 12"h laminated nylon fabric - keyed alike series in our locking security bags. We have fourteen ( 14 ) other colors to choose from in 1000 denier nylon, laminated nylon and canvas. As with ALL of our bags we can custom build bags to suit your needs in any size you may need for your intended task. Just give us a call to discuss your application, wishes and desires. Set and change your own combination any time - GOODBYE LOCKSMITH !! !